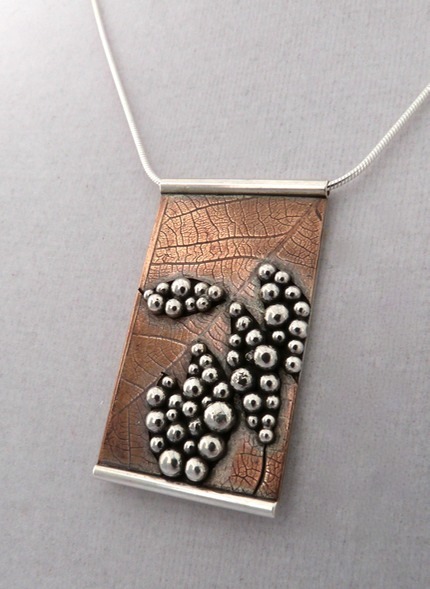 "Granulated Leaves", roller printed, granulation, sweat-soldered. Sterling silver, bronze, 2" x 1.75", 18" chain, 2012. Sold.